Singing Storytellers – Sunjata Story – featured on BBC! We are so proud to have had the Singing Storytellers “Sunjata Story” filmic material previewed in London, England at a SOAS conference on identities last week! LISTEN to Cherif Keita tell us about the story during his recent interview on the BBC! 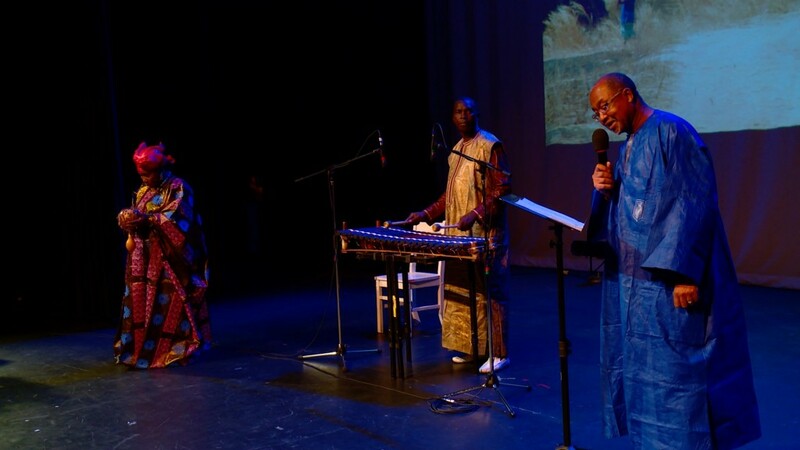 Hawa Kasse Made Diabate, Fode Lassana Diabate, Professor Cherif Keita performing at the Singing Storytellers Symposium. This entry was posted in Uncategorized by singingstorytellers. Bookmark the permalink.